Artist, Matti Braun creates layered installations that allow objects from one culture to come into contact with those of another, resulting in intentional misunderstandings. 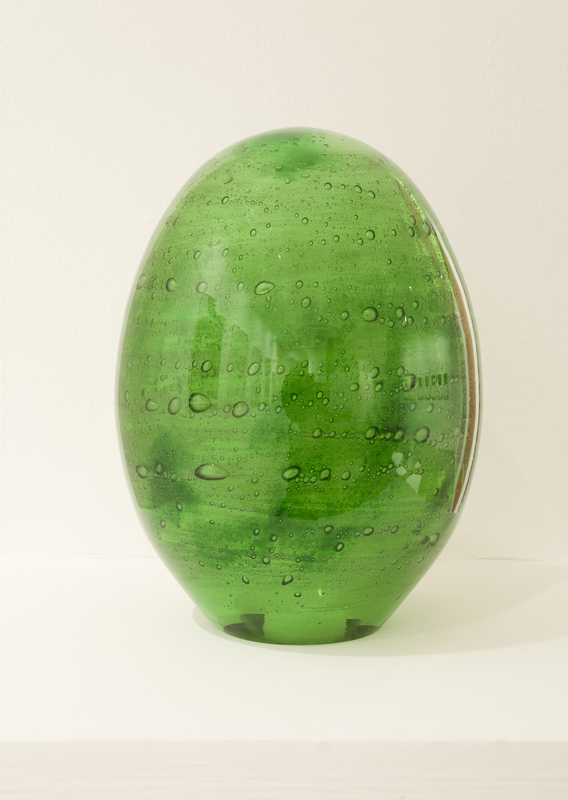 Working with a diverse range of formal techniques and materials, including silk paintings, glass sculptures, textiles, ceramics and prints, Braun investigates the transit of aesthetic forms and practices across different traditions and cultural contexts. The point of departure for his work is often based on the stories and histories of specific people or ideas, but abstracts away from these into the artist’s own formal and conceptual explorations. Whilst referencing different craft traditions or contemporaneous aesthetic practices, Braun focuses on moments of intense exchange between global cultures. He is interested in the way in which meaning shifts between these different contexts, and the cultural misunderstandings that arise in the process, exploring their impact on forms and ideas, and the way in which they elucidate social and aesthetic developments that may have been buried or overlooked. By single-mindedly following his research interests in specific individuals, the development of their ideas and the constellation of relationships around them, Braun builds up an eclectic mesh of concepts that come to form a challenge to conventional interpretations of Modernity. Central to Braun’s practice is a particular approach to referencing. 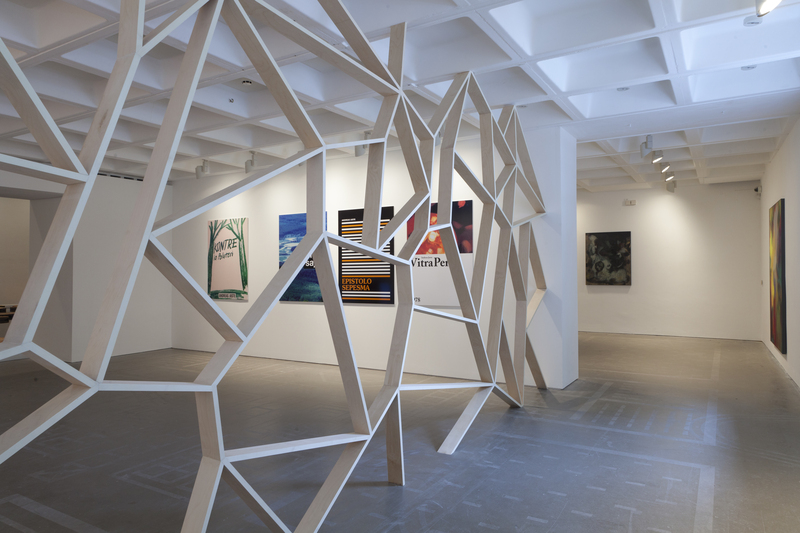 Certain images, objects or names are deliberately cited, as part of his associative methodology, but it is left open to the viewer to trace conceptual relationships between the different elements of the exhibition. They can be read as purely formal arrangements of artefacts, or as glimpses of an extensive rhizomatic network of ideas and cultural practices. For example, Braun has long been interested in Indian culture and its relationship to Modernity, and a specific artefact that has held his interest is the ‘patola’, a brightly coloured woven silk saree originating in Gujarat. As valuable objects, patolas travelled through international trading routes from the 12th century onwards. Many patolas now in Western textile collections are actually replicas of these rare originals, but this did not matter as they maintained their exchange value, circulating internationally as a form of currency. 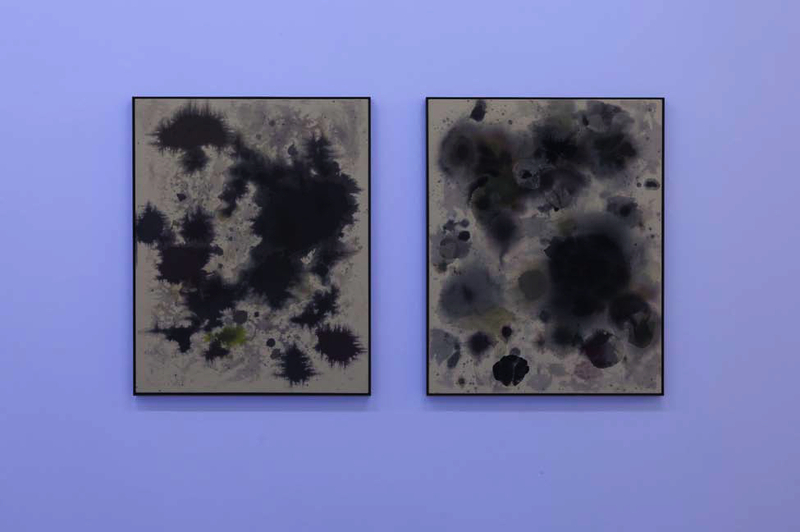 Braun’s copies, which make no attempt to disguise the fact that they are prints, play on the productivity of the relationship between tradition and modernisation, the local and the global, by allowing the effects of appropriation to take some formal control of the work. 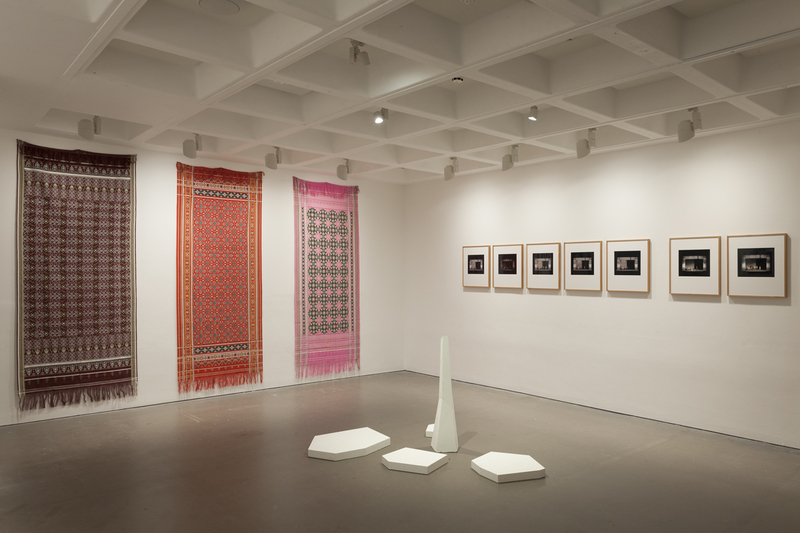 Whether we view these artefacts, in the context of the gallery, as isolated aesthetic objects or as metonyms for intercultural exchange is open. 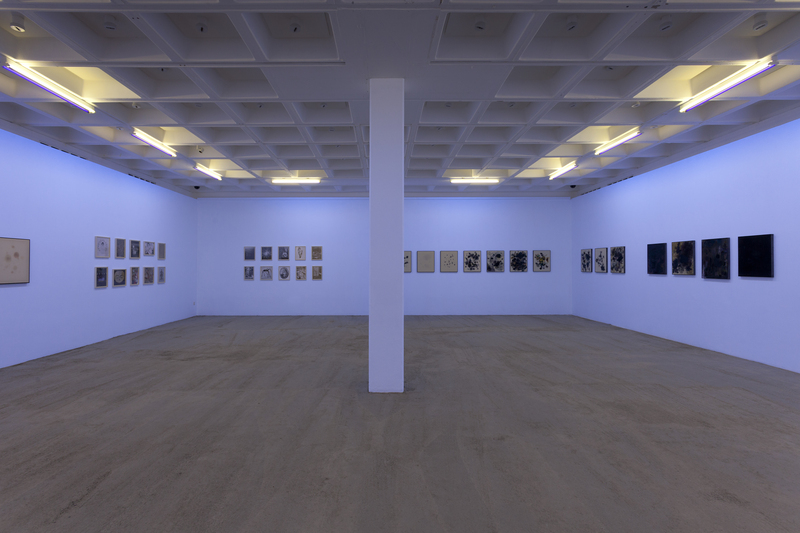 Another of Braun’s project that focuses on Indian Modernism is the large-scale installation R.T./S.R./V.S. (2003 ongoing), taking its inspiration from an unrealized film by the renowned Bengali filmmaker, Satyajit Ray, entitled The Alien. Ray’s script, written in1967, tells the story of an extra-terrestrial being who crash lands into a lotus pond close to a remote Bengali village. The mischievous alien plays a series of pranks on the villagers, which are seen as miracles, and the community begins worshipping his spacecraft as a temple risen from the depths of the earth. As the alien causes confusion in the small village, the script points towards the conflicts that occur when change is imposed on a traditional way of life. While Ray’s film was eventually abandoned after negotiations with Hollywood producers broke down, despite Marlon Brando and Peter Sellers having been signed up for leading roles, the script for the film has been said to have been used as the inspiration for Steven Spielberg’s classic feature, E.T. 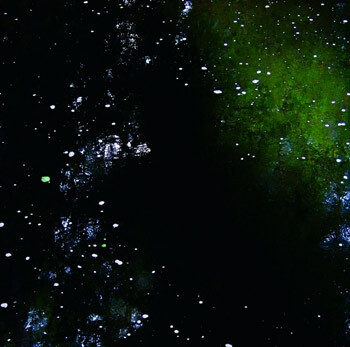 The dark shimmering lake, which forms Braun’s installation, recreates the opening scene of the unrealized script, when the golden antenna of the spacecraft emerges from the pond. 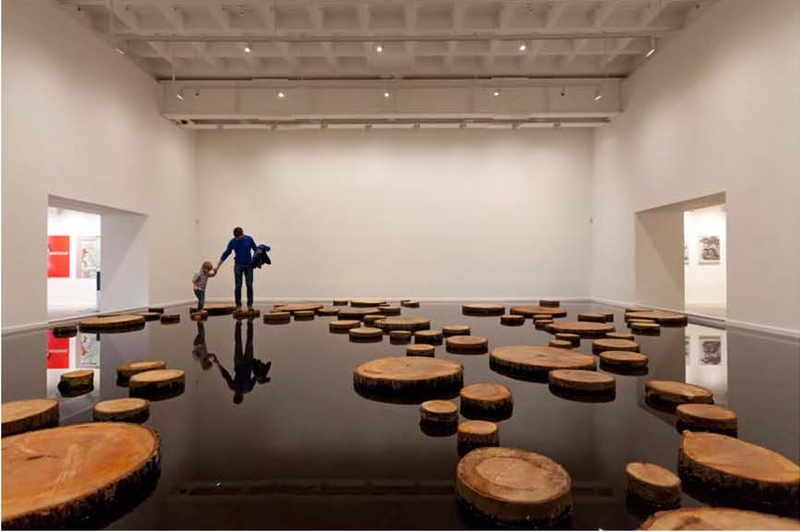 In the gallery, the lake can be crossed via a meandering path of wooden logs, in place of lotus leaves, inviting the audience to become part of the scene. The title of the installation, R.T./S.R./V.S.,refers, besides Satyajit Ray (S.R. ), to the Bengali poet and polymath Rabindranath Tagore (R.T.), who was the first non-European to win the Nobel Prize for Literature in 1913, and to Vikram Sarabhai (V.S. ), a physicist and founder of the Indian Space Research Organisation. Thus Braun cites three of the most prominent figures of early Modern India in relation to the work. Two series of prints are also dedicated to Rabindranath Tagore and Vikram Sarabhai, respectively, marking their involvement in educational projects: Tagore founded a reform school in Santiniketan in 1901, which later became a university (and the model for Dartington, in the UK), and Sarabhai’s family, who owned several textile mills, founded the Calico Museum, for which the American modernist designers Ray and Charles Eames developed a part of the display. One of the print series shows early manuscript pages by Tagore, whose graphic additions anticipate his later preoccupation with painting. The other series contains photographs of the Sarabhai family, a memorial for him and the satellite that marked India’s departure into space. Braun shies away from literal illustration of the different historical sources with which he juggles, and often the process of abstraction in the work gradually obscures its own beginnings. Over time the artist interweaves different lines of thought, which become enmeshed with his initial point of interest – an extraordinary personality, perhaps, or a peculiar instance of cultural displacement – while responding to the material qualities of his chosen medium, until the work gains an autonomous form of its own. 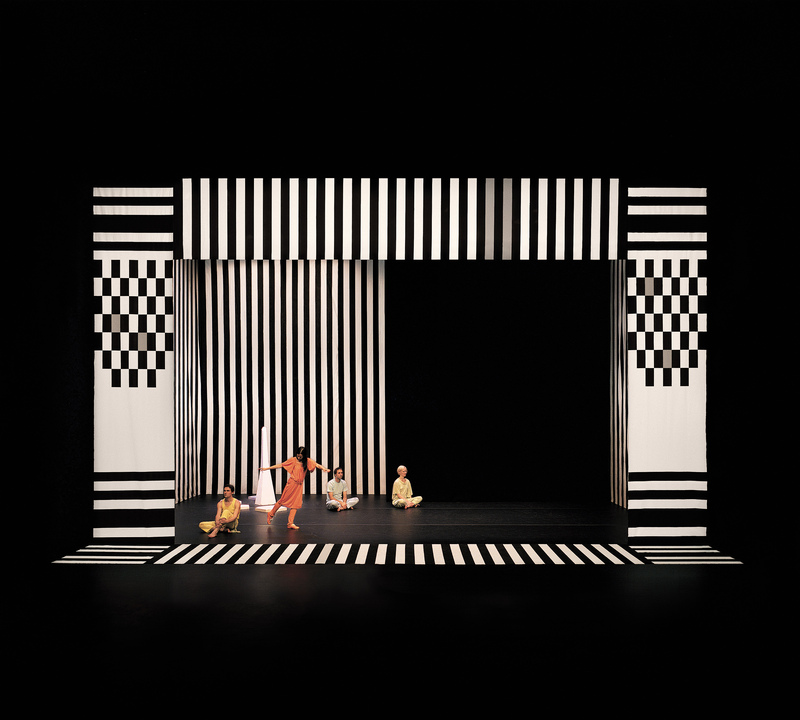 Thus, Braun’s working practice models a process of cultural intermingling, with the artist’s subjective preoccupations and on-going inquiry providing the matrix for a fusion of unlikely elements – a microcosm of the mutations that occur when traditions, which are unlikely to match, meet by chance. This entry was posted in Writings and tagged Arnolfini, Black Sun, BQ Galerie, Devi Art Foundation, Esther Schipper, Matti Braun, Rabindranath Tagore, Satyajit Ray, Vikram Sarabhai. Bookmark the permalink.